Winter is coming and our 2018 season flu vaccine is now in stock!! Before we get into the specifics of this years vaccine, we should address some questions we have been getting about it. The commonest queries we get on the phone are in relation to price and eligibility! The flu vaccine is free to everyone over 65 who has a doctor visit card or a full medical card. If you are a private patient there is a charge of 25e. Children under 6 months cannot get the flu vaccine. Children between 6 months and 9 years may need a second dose of the flu vaccine to get full immunity to it. All our doctors and our nurse, Suzanne, will be able to administer the vaccine and please ensure that you get yours! There are some excellent resources out there in relation to the flu vaccine and the HSE has a good page of links and information. Below, we will go through some of the most frequently asked questions we get. If you are unsure as to whether you are eligible for the flu vaccine just ask us! We are happy to go through it with you. Ideally everybody who does not have a reason not to! Those working in offices, hospitals and those at school are particularly at risk, along with those mentioned below. I am not in the list above. Should I bother getting the vaccine? Yes-the more people who get the vaccine the less circulating flu in our community. This reduces the risk of the most unwell in our locality being exposed to the flu, including sick children and those who are on chemotherapy and radiotherapy as well as those who are too unwell to get any vaccines. I got the flu vaccine last year. Why do I have to get it again? The flu vaccine for Winter 2018 was formulated in February-March 2018 and it changes every year depending on the various flu strains that are doing the rounds. The vaccine you got last year unfortunately will not cover you this year as a result. I am pregnant. Should I get the flu vaccine? The vaccine is not a ‘live’ vaccine and will do no harm to you or your baby. Millions of pregnant women have received the vaccine and it is safe to get in pregnancy. It can be given at any stage of pregnancy. I would like my children to get the vaccine. Is it safe for them? Yes it is, we can give it to children over the age of six months. Those aged between six months and nine years need to get 2 doses of the vaccine the first time they receive it. How long dose it take before the vaccine is effective? The vaccine takes effect after 2 weeks. I heard that the flu vaccine gives you a dose of the flu. Is this true? This is something we get asked regularly. It is impossible for the flu vaccine to give you a dose of the flu. The vaccine is made with an inactivated virus that cannot transmit infection. If you develop an infection after getting a flu shot it is because you are unfortunate enough to develop an infection before the shot has had time to kick in. I got the flu last year and it wasn’t bad. It is highly unlikely that you had the flu! Often patients mistake a heavy cold for the flu. A heavy cold is a nuisance but it is nowhere near as severe as the flu. The flu is debilitating and potentially dangerous in the at-risk groups mentioned above. If you have ever had a flu you will not forget it!! How much will the flu vaccine cost me? If you have a medical card or doctor visit card and meet the criteria mentioned above then the vaccine is free-you just need to sign a form. If you do not have a medical or doctor visit card and you book in to see the doctor or nurse just for the flu jab then the charge is €25. The charge for a regular consultation plus administration of the flu vaccine on the same day is €75. This is money well spent!! Is there anyone who shouldn’t get the flu vaccine? 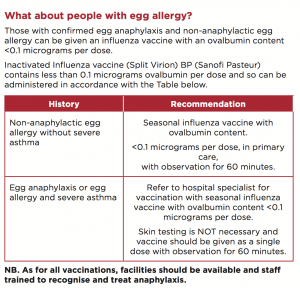 Anyone with a history of an anaphylactic reaction to the flu jab should not receive it again. What are the side-effects of getting the flu vaccine? No medical intervention is completely free of potential side-effects though happily in relation to the flu vaccine there are very few. The commonest is discomfort at the injection site. Other side-effects are extremely rare and this link from the manufacturer lists them all. How do I book in for a flu vaccine? Just call us on 01-8461335 or 01-8038881 to make an appointment. Alternatively you can e-mail us on info@portmarnockgpclinic.ie. We will be running a Saturday clinic and will consider a second one if there is the demand. 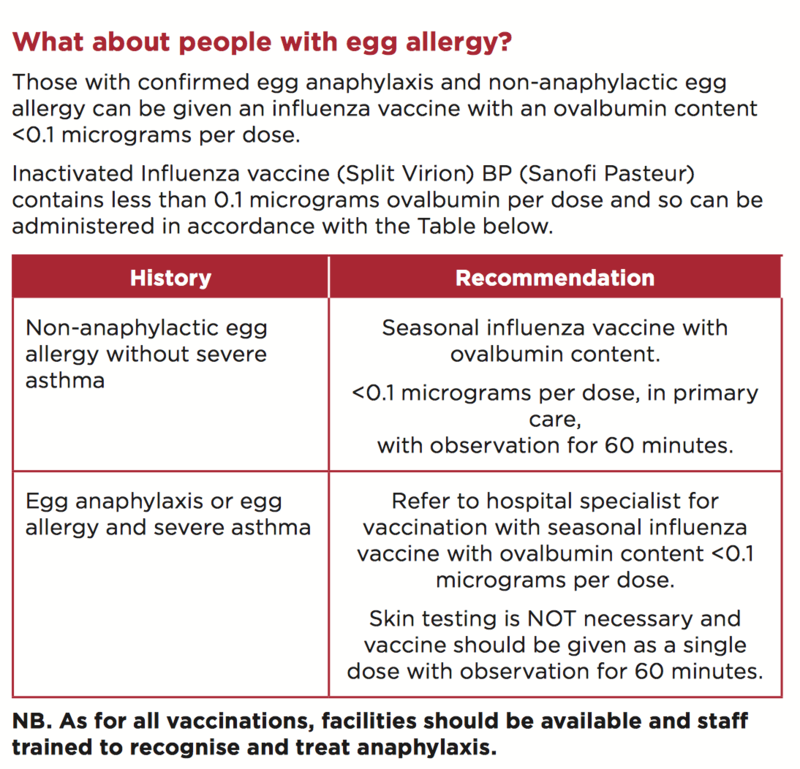 All our clinical team can administer the vaccine so please just ask any of the team when you are in consultation. As ever, if you are unsure about getting the flu jab this year or have concerns or queries, don’t stay away-call us for more info on the numbers listed above.